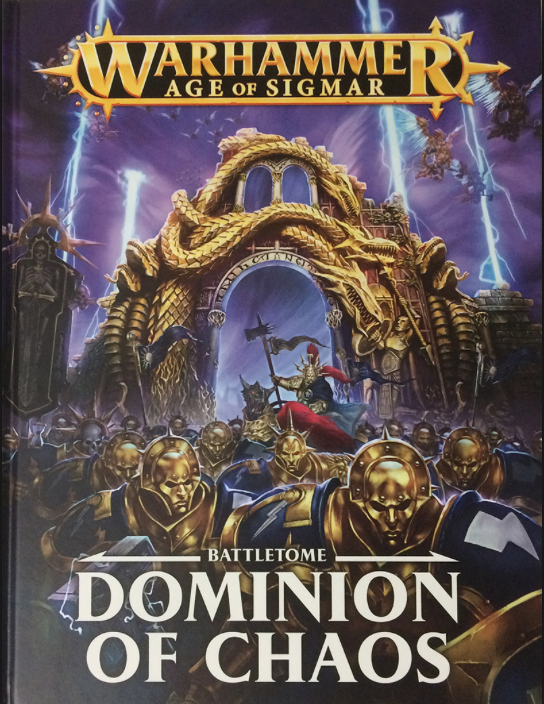 Today I have my well overdue review of The Battletome: Dominion of Chaos. This is probably one of my favourite out there due to my love of scenery! 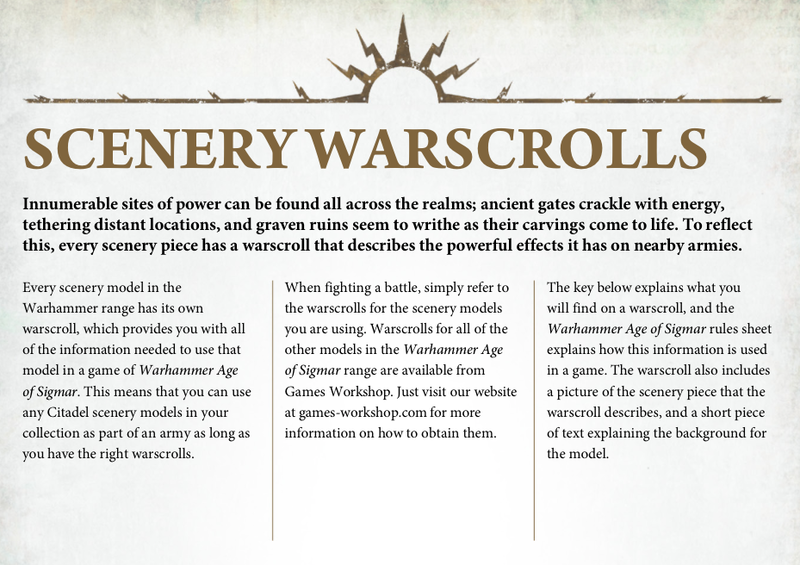 The book gives you loads of battleplans to play with your collections of Age of Sigmar terrain. 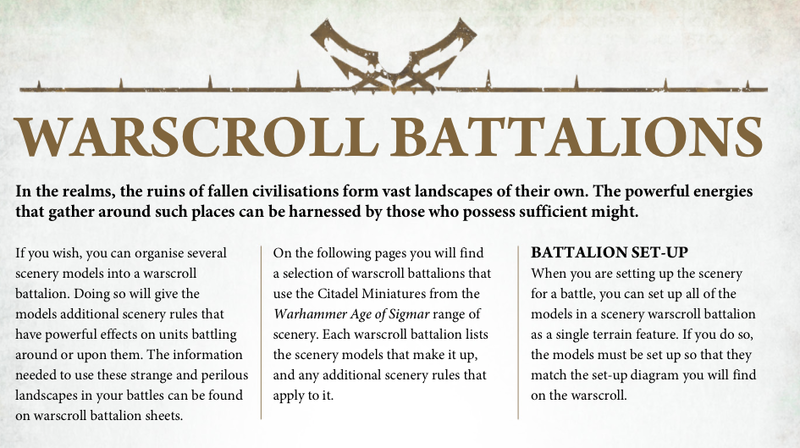 The book was released in line with the Shattered Dominion realm of battle boards and even some of these sections have war scrolls too! The battletome starts with some background on the Realmgate Wars so far, showing advancements from the Stormcast and armies of order but goes straight into the battleplans to allow you to tell the story in an awesome campaign. 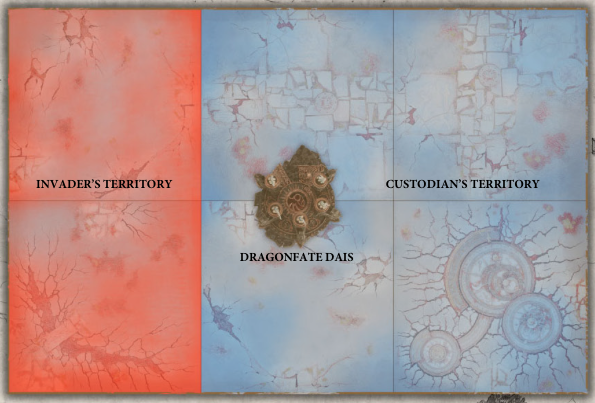 The first battleplan in the campaign plays on a board with a Dragonfate Dias in the middle, a site of power. 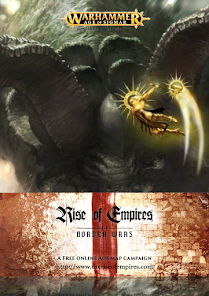 One army is sited with protecting the Dias from the Invaders, the invaders must destroy the Custodians to be able to harness the power. 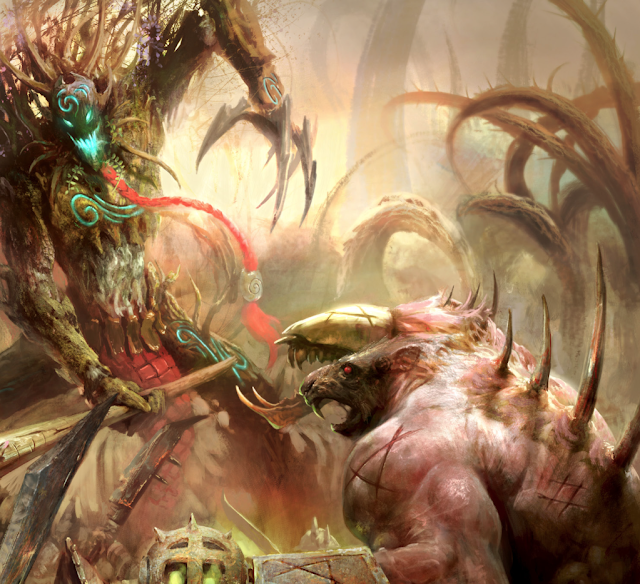 The Invader will win a Major Victory if they are able to resurrect a unit within 9" of the Dias and then in their next hero phase, use the Word of Power ability on that unit, a tough ask! 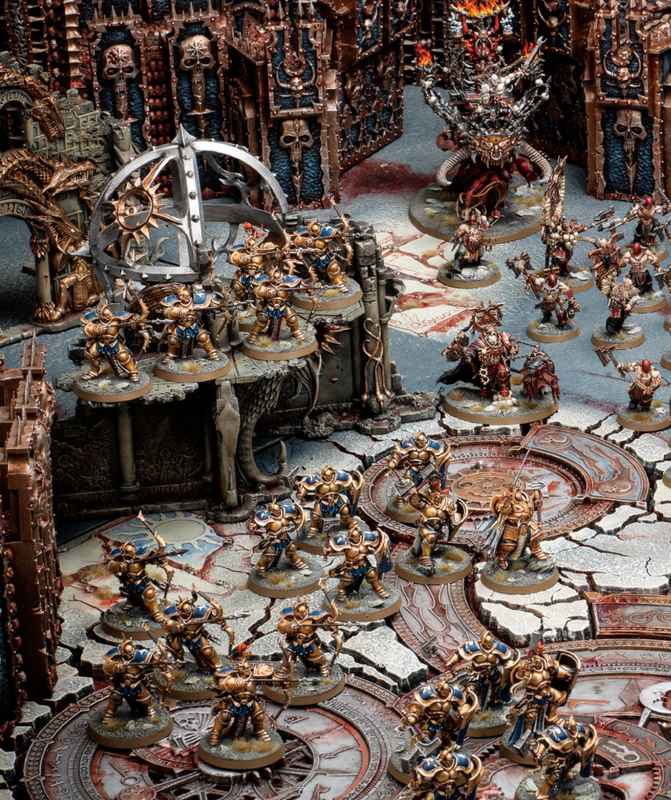 The Custodians must be able to kill all enemy Heroes on the battlefield, sounds simple, except each Hero phase the enemy is allowed to promote any model to become a Hero. 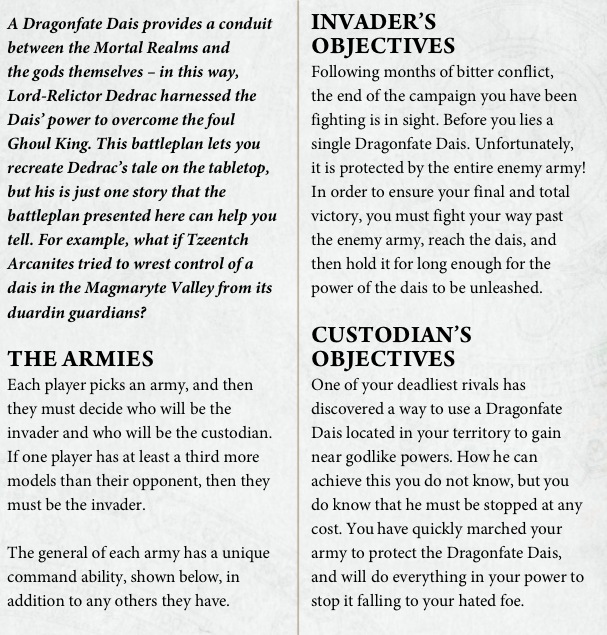 A bloody battleplan that plays to show how the Dias is meant to be used. The second battleplan recreates the invasion of the Skaven hordes into the heart of a Sylvaneth grove. 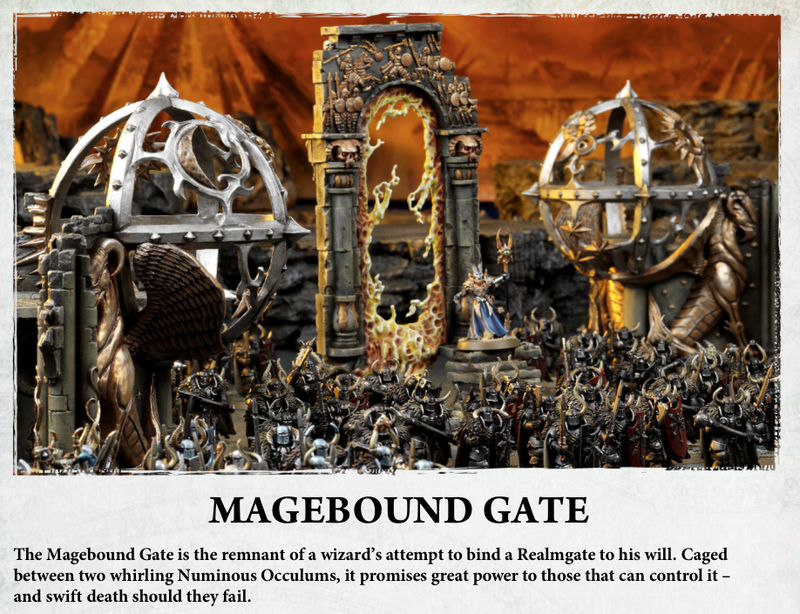 This battleplan will have you using a Baleful Realmgate and the objective is simple, have, after 6 battle rounds, the closest model to the Realmgate. 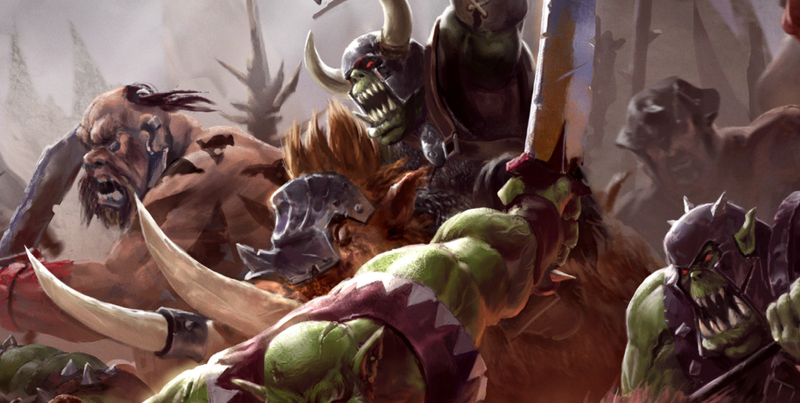 Each Hero phase you can bring on reinforcements in a scattered formation. 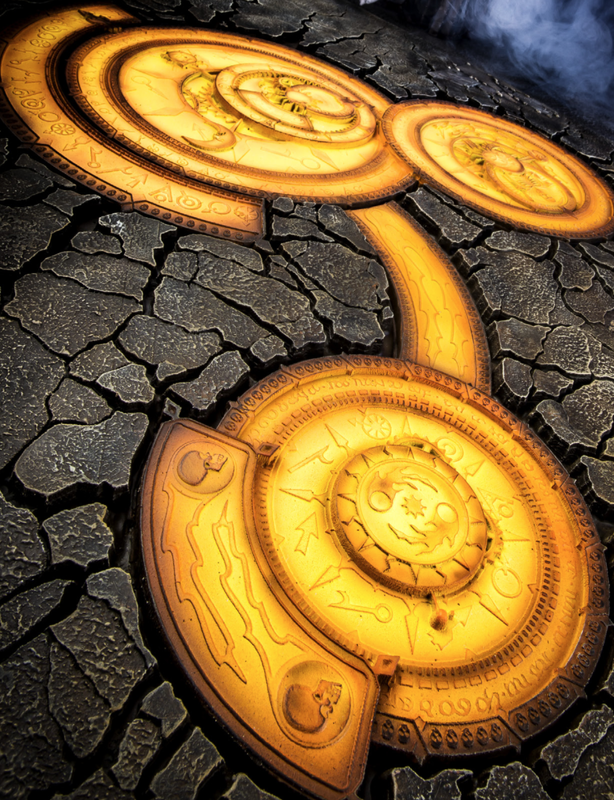 This plan will have you running all over the board and it is actually difficult to get to the Realmgate in time. A good solid battleplan, reinforcement rules mean that points don't matter, so go nuts and play it openly and freely and see what happens. 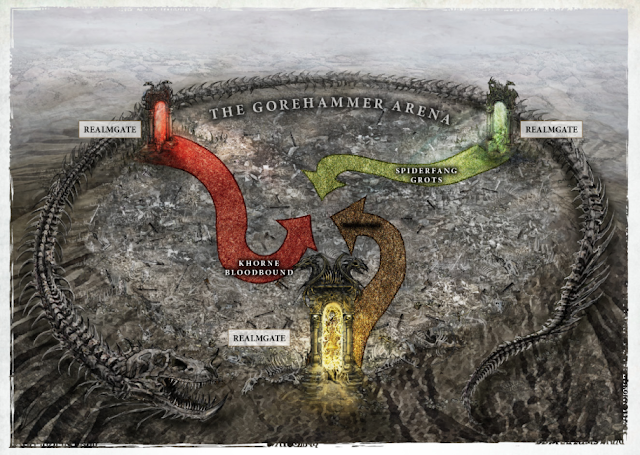 The story moves to a Khorne held Dreadhold built around three connecting Realmgates, this battleplan is amazing! You are able to jump between gates which are set up as a triangle on the board, there are special rules for jumping between them and special command abilities for each army. Fight it out to the bitter end. 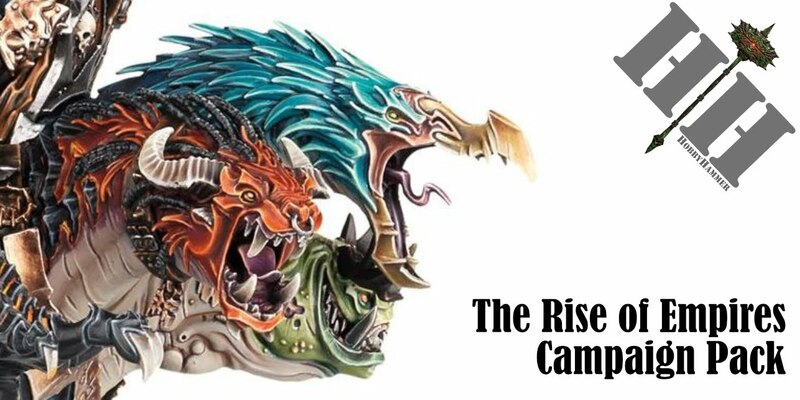 In Clash of Fates, the story goes over to a Seraphon army climbing a mountain to attack a Maelstrom of Chaos and destroy a Numinous Occulum before the Arch Mages army can wind back the time once again. You can of course use any armies but Wizards are the key in the battleplan as they gain a new spell which allows them to basically add any slain models back to units, the attacking army must destroy the enemy, if they don't manage to, they lose! This is the coolest section of the book as it gives you, like faction based battle tomes, battalions to use for your scenery. 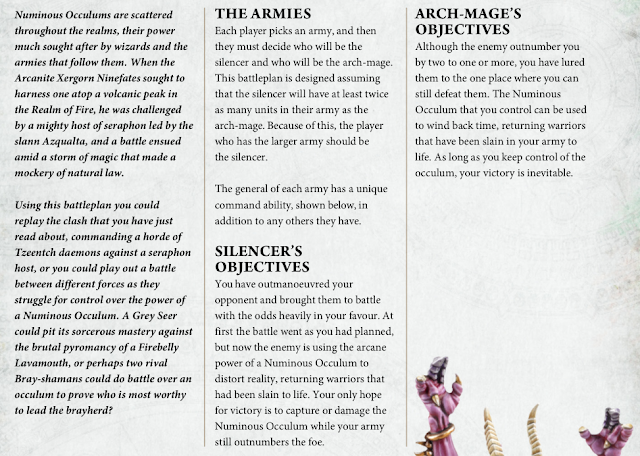 So if you have a specific group of scenery on our battlefield, you can get extra rules to use them. 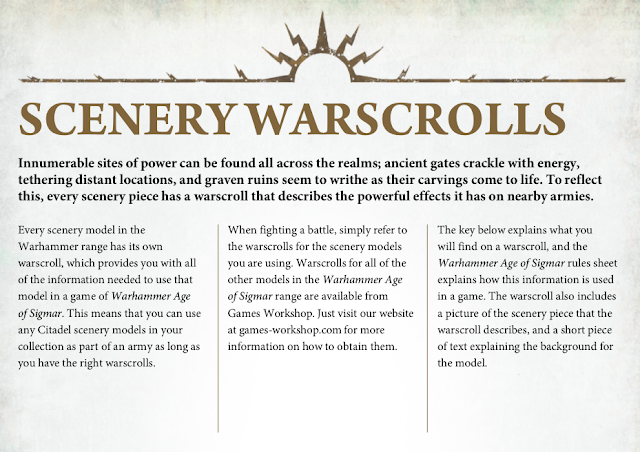 This section also gives you rules for all the new terrain pieces for Age of Sigmar, which is very handy to have. 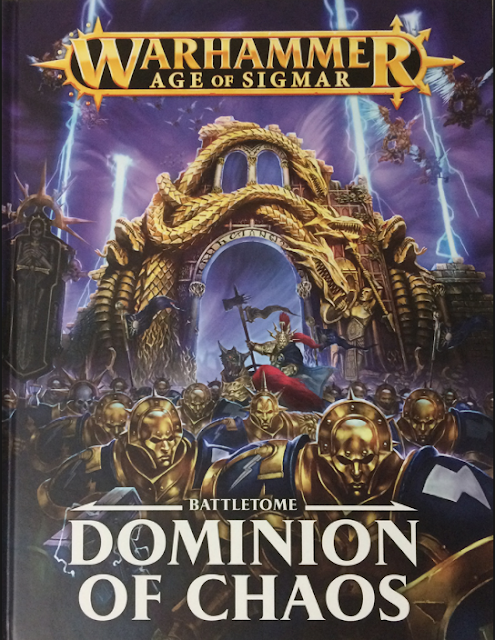 This battalion is for people who have the Shattered dominion tiles, a dragon fate dias and an Occulum. If you set them up in this order you gain a special ability for it. 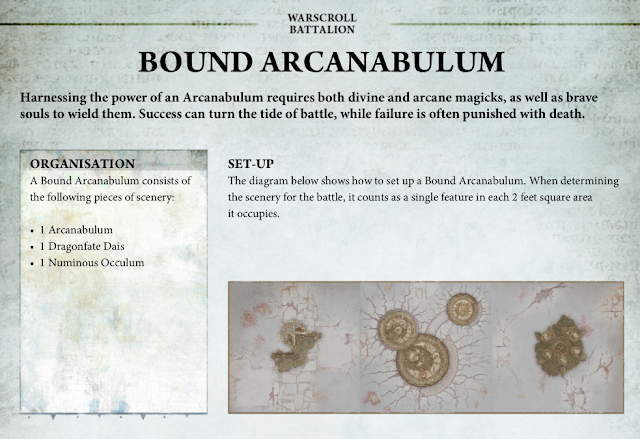 If you have a Wizard on the Occulum and a Priest on the Dias, you can master the Arcanabulum and choose which effect happens for it, rather than rolling. You also get a +1 to hit for all your models within 12" of either the Wizard or Priest. The second example I have shown here is the Magebound Gate, 2 Occulums and a Realmgate. It gives Wizards within 8" of the Realmgate more potency if they cast spells on it, if you cast a spell and the result is 8 or higher, draw a line between the gate and both Occulums, any units that are on the line are also targeted as if they were the target unit. 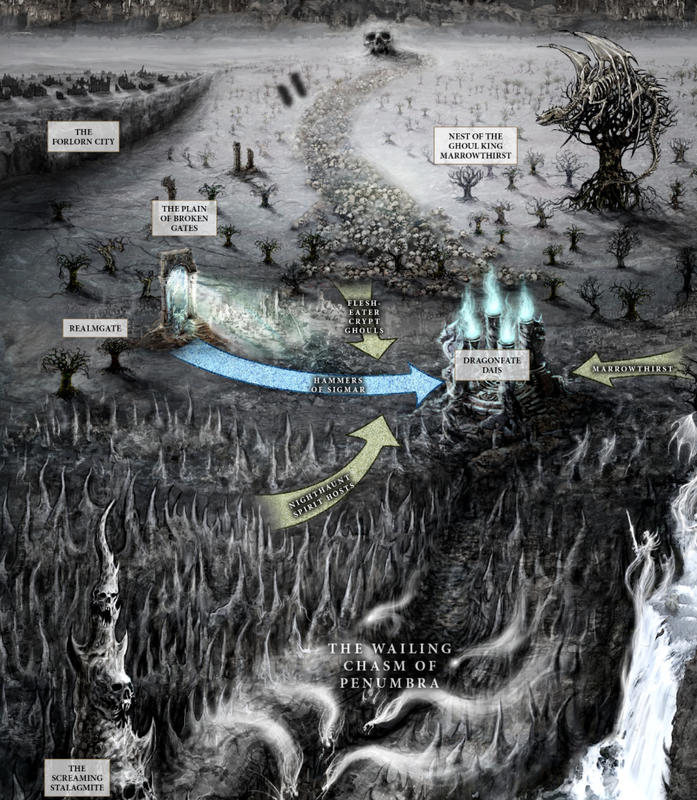 The book is great for helping you with Narrative play, a great resource as a campaign book or just a scenery book, the artwork is fantastic and the dioramas are brilliant too. 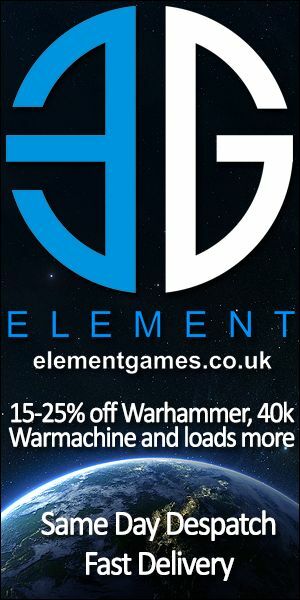 I completely recommend this book, especially if you have the scenery and you are part of a club, its a great resource for adding to any game you play.